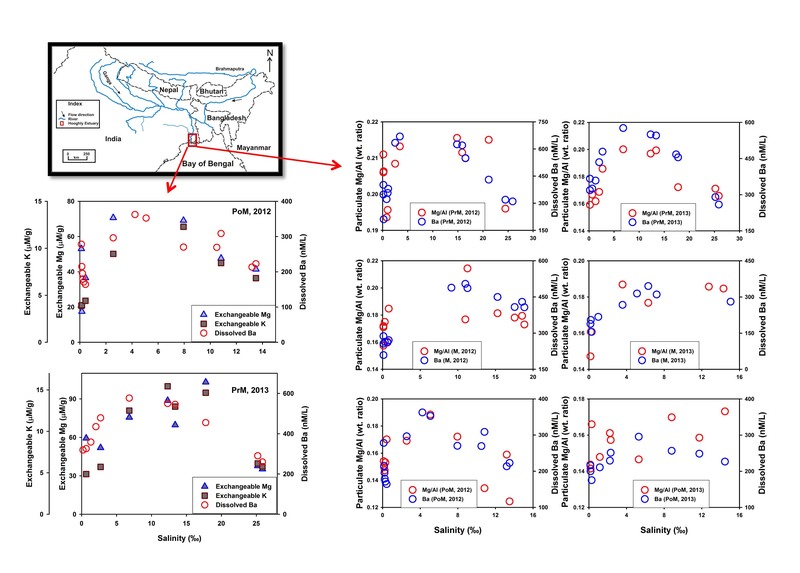 - New GEOTRACES special issue "Biological and climatic impacts of ocean trace element chemistry"
The GEOTRACES special issue in Philosophical Transactions of the Royal Society of London A dedicated to trace element chemistry is now available! 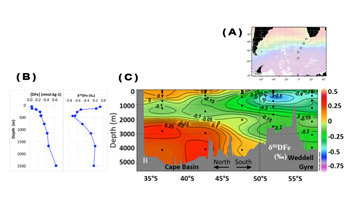 The volume includes four synthesis papers, which summarise our knowledge and identify areas for future work relating to chemical fluxes at the four ocean boundaries - with the atmosphere, the continents, sediments, and mid-ocean-ridges. These papers and some other papers are available open access. 29 January - 04 March 2017, Section Cruise (GI10), Arabian Sea, Bay of Bengal and Indian Ocean. 26 February 2017, Arctic-GEOTRACES Early Career Event at ASLO 2017, Honolulu, Hawaii, USA. Register before 25 January! - Behrens, M. K., Muratli, J., Pradoux, C., Wu, Y., Böning, P., Brumsack, H.-J., Goldstein, S. L., Haley, B., Jeandel, C., Paffrath, R., Pena, L. D., Schnetger, B., Pahnke, K. (2016). 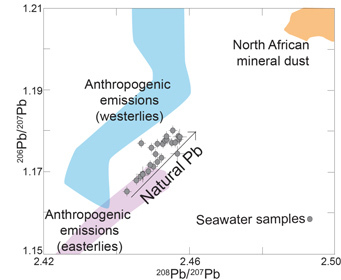 Rapid and precise analysis of rare earth elements in small volumes of seawater - Method and intercomparison. Marine Chemistry, 186, 110–120. doi: 10.1016/j.marchem.2016.08.006S. - Eigl, R., Steier, P., Winkler, S. R., Sakata, K., & Sakaguchi, A. (2016). 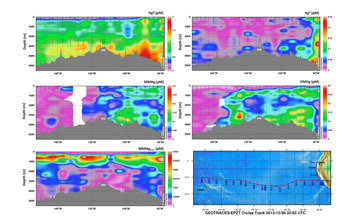 First study on 236U in the Northeast Pacific Ocean using a new target preparation procedure for AMS measurements. Journal of Environmental Radioactivity, 162, 244–250. doi: 10.1016/j.jenvrad.2016.05.025. - Fitzsimmons, J. N., Conway, T. M., Lee, J.-M., Kayser, R., Thyng, K. M., John, S. G., & Boyle, E. A. (2016). 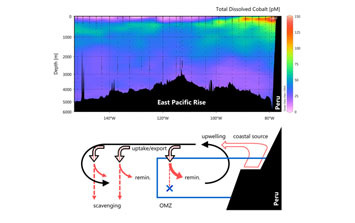 Dissolved iron and iron isotopes in the southeastern Pacific Ocean. Global Biogeochemical Cycles, 30(10), 1372–1395. doi: 10.1002/2015GB005357. - Swarr, G. J., Kading, T., Lamborg, C. H., Hammerschmidt, C. R., & Bowman, K. L. (2016). 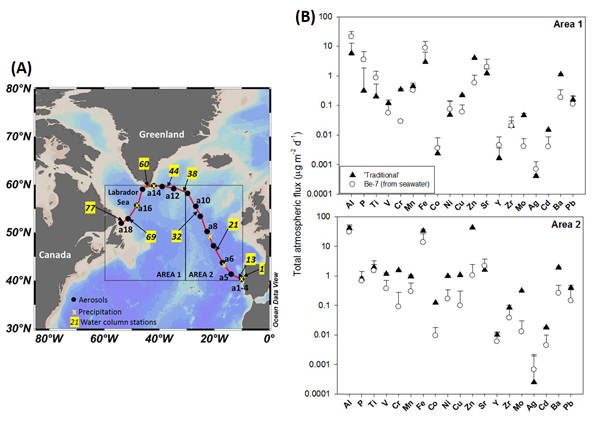 Dissolved low-molecular weight thiol concentrations from the U.S. GEOTRACES North Atlantic Ocean zonal transect. Deep Sea Research Part I: Oceanographic Research Papers, 116, 77–87. doi: 10.1016/j.dsr.2016.06.003.